Family Business of the Year 2019 culminates in a champagne reception that will take place in London on June 6, 2018. All of the family firms shortlisted will be invited to attend an evening that is all about the family businesses and celebrating their achievements. The awards will presented during the reception where photographs of the winners will be taken and made avaialble for press coverage too. 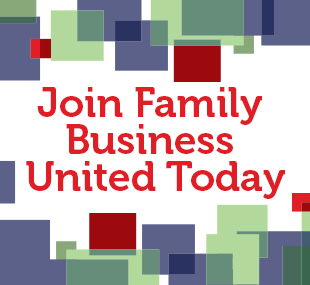 The evening is intended to be a great opportunity to come together, network, talk to other family businesses and make new friends too, as well as the main objective of the process, to crown the winners of the 2019 Family Business of the Year Awards, brought to you by Family Business United. "Congratulations. The evening was a great success – a congenial and friendly atmosphere and real connection between the family firms present. Your energy and commitment is apparent throughout: you are building something special." "Well done on a fantastic awards evening. The calibre of entrants was outstanding and your passion and commitment was palpable." "Just to say many congratulations on a fantastic event last night. I think the night worked really well and everyone I spoke to was raving about it – and that’s not just the winners! Everyone knows how much hard work goes into the event so you must be somewhat relieved that it is over!" "Awards done simply but effectively, shwocasing the winners and their stories beautifully." "Winning the award was the icing on the cake. We never expected to win and are honoured to take the title against such great family firms too. The quality of firms was incredible - a real credit to Britain and we actually won!" "it is nice to see awards where it is more about the firms than anything else. We met some great peers and had a lovely evening sharing sotires with some incredible family business owners. We may not have won but the atmosphere was great and the ultimate winner is the family business sector that clearly has such great strength in depth too. Well done to the organisers." "Great to be amongst such great family businesses." "It was a great evening last night. Well done and thank you for organising such a fabulous event." "Just a quick email to say thank you for organising a very enjoyable event. It was great to win an award, but even better to see the an array of family businesses coming together. I look forward to meeting you again in the future." "I met some very interesting people indeed! 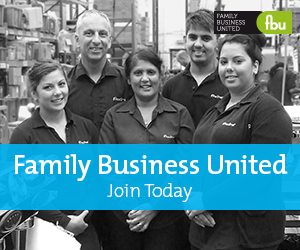 I saw a lot of evidence of the buzz and community of family businesses that you have created. Congratulations." "You organised a great event and even more important you have created an opportunity to showcase family companies and for them to celebrate together." "Thank you so much for the event the other evening. It was a really good night and a great opportunity to meet some other family companies across so many sectors. Truly enjoyable."